Ed. Note: This is good news for ambitious law enforcement types. Arapio’s 84 and Rudy’s no spring chicken at 72, so if either gets the gig, it will likely be up for grabs again shortly thereafter. President-elect Donald Trump is considering two Republican members of Congress forDepartment of Homeland Security secretary, a critical post whose occupant would oversee his proposed crackdown on illegal immigration, people familiar with the deliberations said. The incoming chief executive is looking at Rep. Michael McCaul (R-Texas), chairman of the House Homeland Security Committee, and Sen. Jeff Sessions (R-Ala.), the people said. Sessions, who helped shape Trump’s hardline views on immigration, is also under consideration for other top administration jobs such as defense secretary. Other names being floated for the Homeland Security post include former New York City mayor Rudy Giuliani and New Jersey Gov. Chris Christie, who leads Trump’s transition team. But both are former U.S. attorneys also reportedly interested in being attorney general, so they could view DHS as a consolation prize. 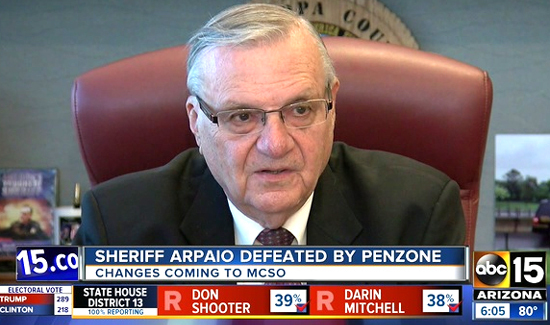 Several government officials said they had been told that a more incendiary choice – ousted Arizona sheriff Joe Arpaio – is also under consideration. Arpaio, a vocal Trump supporter who lost his re-election bid this week, is known for forcing inmates to wear pink underwear and has long been accused of anti-Hispanic bias.